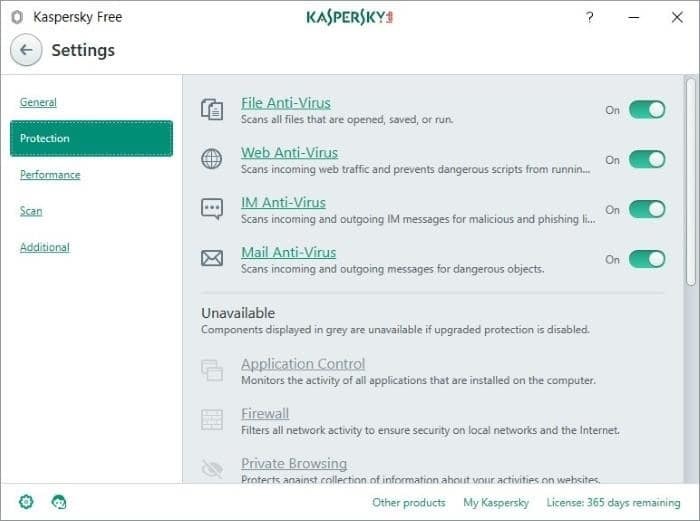 UPDATE on 29/05/2018: Kaspersky Free Antivirus 2019 is now available for download from the link mentioned at the end of this article. Just like millions of other PC users, we here at IntoWindows love Kaspersky Lab products, especially Kaspersky Internet Security and Kaspersky Antivirus. Kaspersky Antivirus and Internet Security are probably the best commercial security solutions out there for your Windows PC. They have been consistently ranking at the top of independent lab test results. While Kaspersky is well-known for its commercial products, it also offers several free applications for your Windows operating system. Kaspersky Cleaner, Password Manager, Security Scan, Software Updater, Virus Scanner, VirusDesk, and System Checker are some of the free products from Kaspersky. Not all users out there can afford a commercial antivirus software. Because of this reason, almost all antivirus software companies offer a free version of their antivirus software. Up until now, Kaspersky was only the major antivirus company without a free antivirus software in its portfolio. But today, Kaspersky updated its product portfolio by releasing Kaspersky Antivirus Free version for Windows operating system. Kaspersky Antivirus Free is the first free antivirus solution for Windows operating system from Kaspersky Lab. The Kaspersky Antivirus Free has been released after testing it in select regions for over a year. The free version of Kaspersky Antivirus comes with many of the features present in the commercial version of Kaspersky Antivirus. That said, features such as parental controls, privacy protection, safe money, firewall, and private browsing are not present in Kaspersky Antivirus Free. Kaspersky Antivirus Free uses the same antivirus engine present in the commercial version of Kaspersky Antivirus. This means that you get the best antivirus engine in the world when you install Kaspersky Antivirus Free. 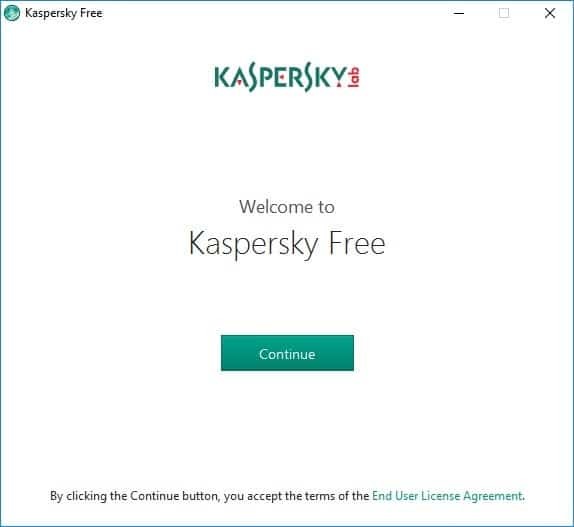 As you can see in pictures, the user interface of Kaspersky Antivirus Free resembles the commercial version. Kaspersky Antivirus protects your PC against viruses, your emails from viruses, and anti-phishing. Because Kaspersky Antivirus Free doesn’t include all features of the commercial version, it’s lighter on system resources and faster than Kaspersky Antivirus commercial version. Kaspersky Antivirus Free is undoubtfully one of the best free antivirus software for Windows 10. 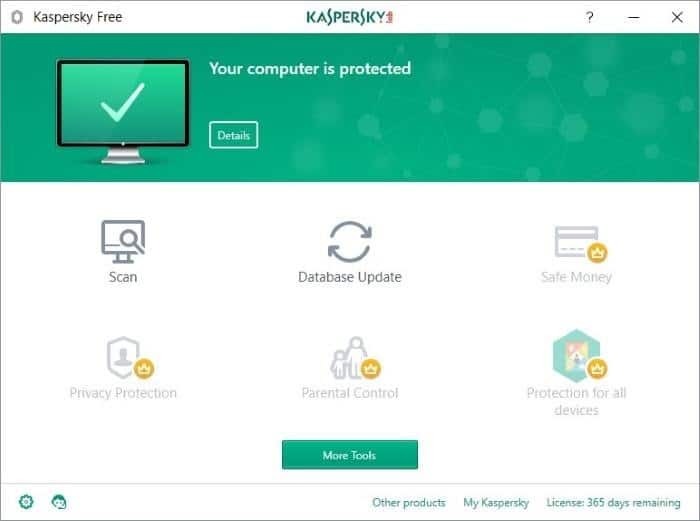 Lastly, Kaspersky Antivirus Free is free from advertisements, something which most users often complain about free products. Visit the following page to download the latest version of Kaspersky Antivirus Free version. Remember that it’s currently not available in all regions. If it’s currently not available in your region, you might be redirected to another page of Kaspersky. Kaspersky Antivirus Free is fully compatible with Windows 10. I don’t know how to thank you for this article. I really need a Kaspersky antivirus but I don’t have enough pocket money left. Keep posting a more paid application in free of cost. I am so happy that I use this product. thanks for this.